Mortgage rate spike that started after the presidential election results has now gone into the overdrive. Today, the rates reached their highest level in almost three years. The impending Fed rate hike coupled with fear of rising inflation has pushed the mortgage-backed securities (MBS) yield lower. MBS prices and mortgage rates have an inverse relationship. Lower the price of MBS, higher the mortgage rates. 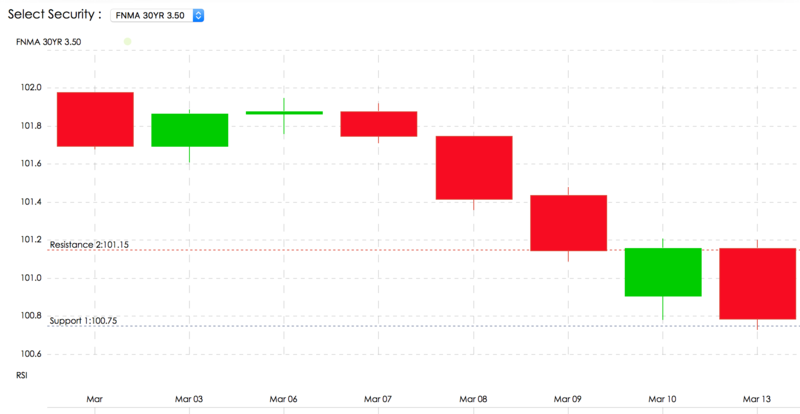 See the chart below (red sticks indicate days where MBS fell in price). 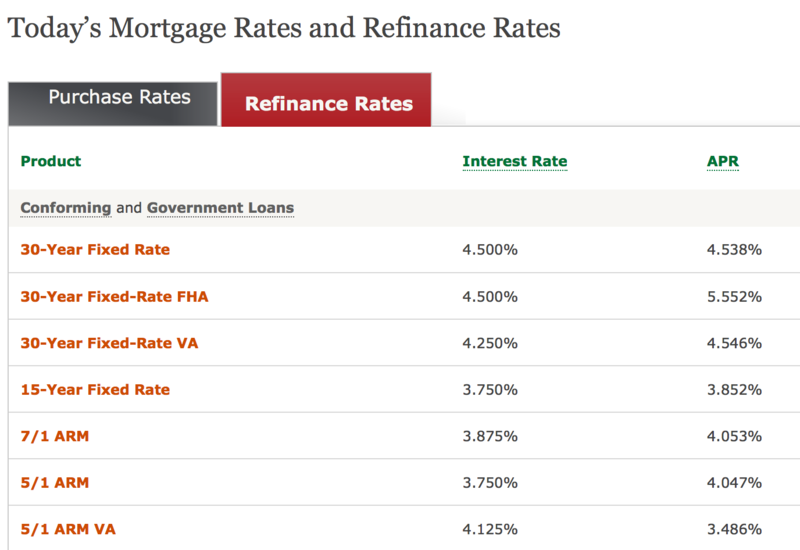 Most major banks are quoting 4.5% on a 30-year fixed mortgage for a Refinance and 4.375% for a home purchase loan. See below a screenshot from Wells Fargo mortgage quote. What’s the Outlook for Rates? In a recent survey on Bankrate.com where I am quoted weekly, 90% of experts predicted a higher mortgage rate in the coming week. 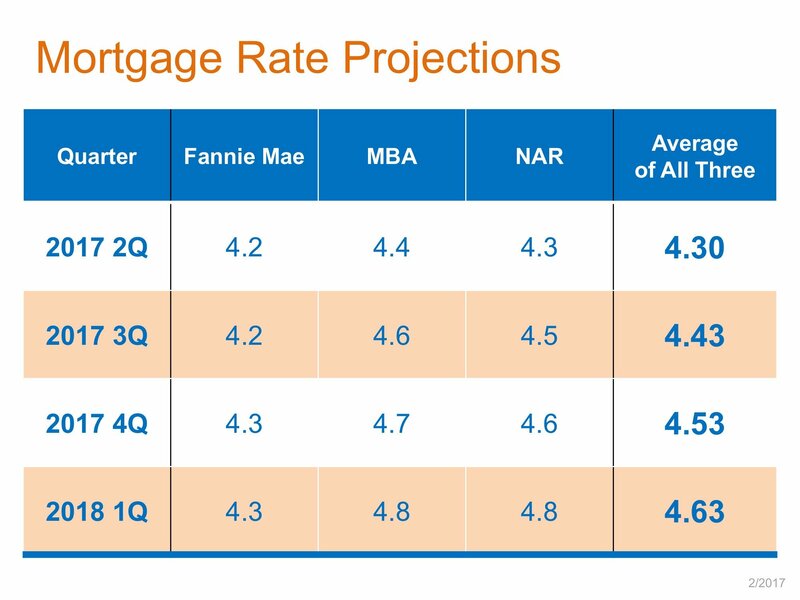 See below the prediction chart from industry agencies and associations – Mortgage Bankers Association (MBA), National Association of Realtors (NAR) and Fannie Mae (FNMA). How will this impact Real Estate Prices? 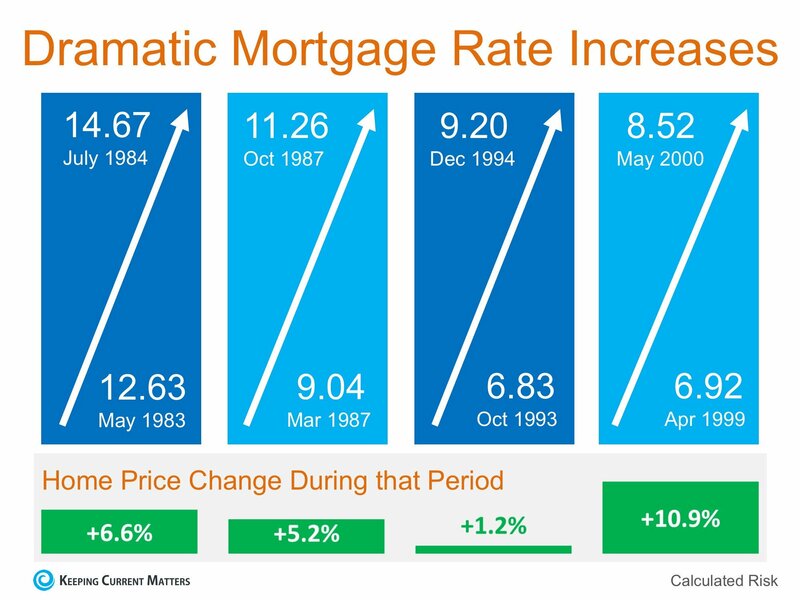 As counterintuitive as it may sound, historically there has been no established correlation between mortgage rates and real estate prices. Also, do not mistake the fact that rate under 5% is still extremely low compared to historical standards. So, do not expect these rising rates to spoil the real estate recovery. At least, not yet. Whether you are thinking of buying or refinancing locking your rate earlier in the year should turn out to be cheaper than doing so later in the year.